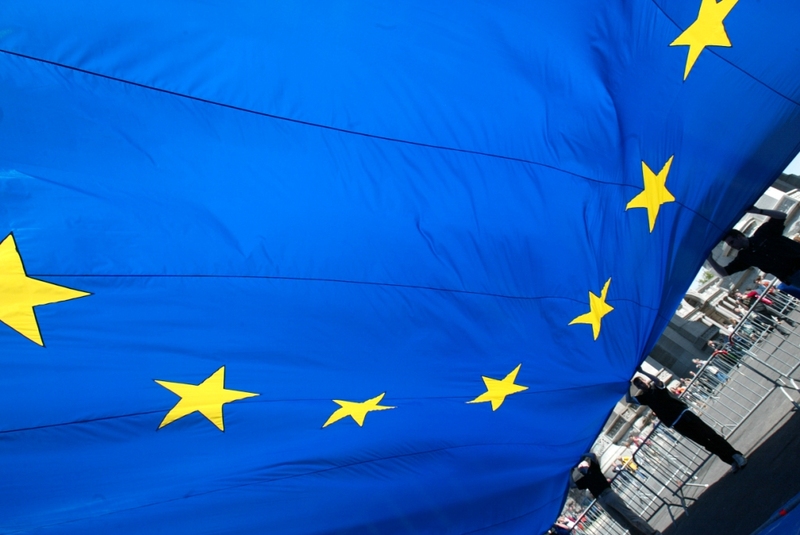 On 5 March, the European Commission agreed a package of support identifying a number of concrete measures to assist economically and financially Ukraine. These measures should be seen as the Commission’s contribution to a European and international effort to support Ukraine’s economic and political reforms, and will be presented to the EU Heads of State and Government ahead of their extraordinary meeting on Thursday 6 March. This document below sets out the main concrete measures that the Commission is proposing for the short and medium term to help stabilise the economic and financial situation in Ukraine, assist with the transition, encourage political and economic reforms and support inclusive development for the benefit of all Ukrainians. These measures combined could bring overall support of at least €11 billion over the coming years from the EU budget and EU based international financial institutions (IFIs) in addition to the significant funding being provided by the IMF and World Bank. All these measures should be seen as the Commission’s contribution to a European and international effort at providing a sustainable way out of Ukraine’s difficult economic situation and to support its economic and political transition. The action of Member States in complementing and reinforcing what the Commission can mobilise on its own is crucial. The participation of partner countries as well as of the international financial institutions, notably the IMF, the EIB, the EBRD and the World Bank, is essential to leverage what we can all offer, increase the visibility of our collective action and improve its impact. All elements and instruments need to be pulled together to ensure an effective and coherent European Union and international response. Part of the EU’s effort is to support Ukraine on its path towards political and economic reform, including those set out in the Association Agreement /Deep and Comprehensive Free Trade Area (AA/DCFTA), which we stand ready to sign. It is essential to raise public awareness in Ukraine as well as in third countries on the benefits and opportunities that such reforms can offer both for Ukraine and the region as a whole. A total of €1.6 billion is foreseen for macro financial assistance (MFA). In the short term, the Commission is ready to mobilise €610 million in loans under MFA which has already been agreed but is conditional on the signature of an agreement between the government and the IMF. The Commission is willing to propose further MFA of up to €1 billion. The Commission has already deployed a mission on the ground to assess Ukraine’s financial needs and to prepare the ground for such MFA. This team is working closely with the IMF. The Commission is currently preparing a new €140 million programme for 2014 that would aim at improving the financial capability of the government and support the institutional transition, thus reinforcing the foreseen impact of the MFA. This would be complemented by actions aimed at supporting civil society. The size of such a programme could be increased up to €200 million if there were to be redeployment from within the European Neighbourhood Instrument (ENI) and if Ukraine were to benefit from the umbrella programme (“more for more”) on the basis of proven progress in deepening democracy and respect of human rights. For the remaining period of 2015-2020, a yearly bilateral envelope of approximately €130 million is currently foreseen as part of the ENI with an additional €40-50 million per year from the afore-mentioned umbrella programme (“more-for-more”) subject to proven progress in deepening democracy and respect of human rights and further significant funding from the Neighbourhood Investment Facility (NIF) described below. As far as existing programmes are concerned, the Commission is currently funding a number of on-going sector budget support and technical assistance programmes which will provide input to the new Government in key areas such as economic development, public financial management and justice. This represents approximately€400 million. In addition, the NIF will be mobilised in favour of bankable investment projects in Ukraine. Experience with the implementation of the NIF in the East over the past programming period has shown that, for an amount of€200-250 million of grants foreseen for Ukraine for blending, one could expect a leverage effect that would generate loans of up to €3.5 billion. The participation of International Financing Institutions (IFIs) will be crucial to allow this leveraging and to exploit its full potential. The European Investment Bank (EIB) is the EU’s own policy-driven bank and already has a project pipeline in Ukraine of up to €1.5 billion for the next three years. The EIB could significantly scale this up, without diverting from other regions, if adequate guarantee provisions were to be granted and if the political and operational conditions allow. The EIB could then provide financing for long-term investments of up to €3 billion for 2014 – 2016 in support of both the local private sector and economic and social infrastructure. After the Mid-Term Review of the EIB External Lending Mandate planned by end 2016, the EIB could further increase its activity until 2020 via the activation of the €3 billion optional mandate already foreseen, subject to the agreement of additional funding by the budgetary authority. For its part, the European Bank for Reconstruction and Development (EBRD) is an IFI in which the EU and its Member States account for a majority of the shareholding. As part of a coordinated financial assistance programme in support of credible structural and macroeconomic reforms, the EBRD could make €5 billionavailable over the same period, though that amount could be exceeded if economic circumstances permit. In the meantime, the Commission is ready to offer the early application of those provisions of the agreement related to the imports of goods (i.e. the reduction of tariffs and opening of tariff rate quotas) by proposing a draft Council/Parliament Regulation on such so called ‘autonomous trade measures’. These transitional trade measures, unilateral in nature from the EU side, would allow Ukraine to benefit substantially from many of the advantages offered by the Agreement already now, that is to say, in the period until it could be signed and provisionally applied. However, the rapid implementation of such support measures would require a clear commitment by the Council and the EP to fast track the approval process. As part of the effort to mobilise all of its assets and instruments in support of Ukraine at this exceptional time,the High Representative and the Commission are also ready to convene a High level Investment Forum/Task Force to explore investment and co-operation possibilities in Ukraine. This should bring together a wide range of private and public economic actors, Ukrainian and EU and IFIs together with the host country to maximise their collective impact and ensure a sustainable, democratic and prosperous future for the people of Ukraine. Such an event would also provide an opportunity to help Ukraine to maximise the benefits of autonomous trade measures and the AA/DCFTA. In addition to this, the Commission and the High Representative will continue to provide support forconstitutional reform, together with the Council of Europe and the Venice Commission. Assistance to support reform of the Prosecutor’s Office and of the police through the EU-Ukraine Judiciary Reform Dialogue is also on-going. In addition, in the area of electoral assistance, the possibility of providing electoral support and technical assistance, including to monitoring in the context of an OSCE-ODHIR Electoral Observation Mission for future elections is being explored. – Restrictive measures: The EU has demonstrated that it can act in a rapid and flexible manner to adopt the necessary relevant legislation. The Commission presented its proposal on Monday 24 February and is about to be adopted by the Council, updated to reflect the changing reality on the ground so as to now focus on the freezing and recovery of assets of persons identified as responsible for the misappropriation of State funds. The Commission stands ready to come forward with more proposals if and when necessary. – Humanitarian aid and civil protection: The Commission has opened an antenna office in Kiev to monitor the situation and provide information, including to Member States, on humanitarian and civil protection issues. This office is in touch with with all main relief and aid organisations to coordinate any possible future activities and carry out contingency planning. The Commission stands ready to provide assistance from the EU Civil Protection Mechanism should Ukraine request it. In anticipation, the Commission has already asked Participating States to the Mechanism to take stock of possible medical related offers of assistance.